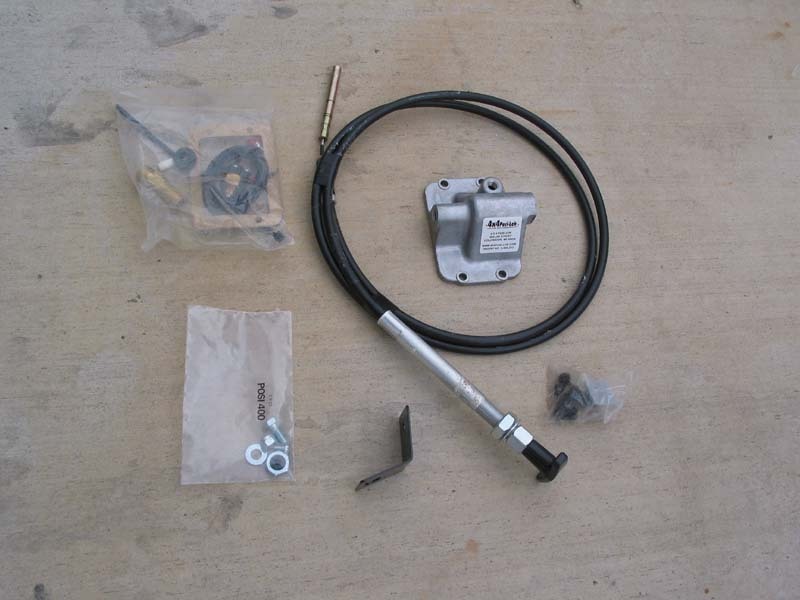 The Posi-Lok comes complete with everything you need, plus some extra parts that vary with the application. Start by disconnecting the stock vacuum disconnect cover. In the first installment of the Comanche project, I added a 3 Tuff Country Suspension lift and 33 BFGoodrich Mud Terrain tires. Much of the remaining articles will deal with addressing the issues raised (pun intended) by the lift and larger tires. To start with, the vacuum disconnect for the front axle was too short after the lift kit was installed. The Cherokee and Comanche vehicles were the first in a trend that has continued at Jeep through today. Gone were the locking hubs and 5 on 5 bolt pattern of the previous generation of vehicles. In their place came a 5 on 4 bolt pattern without hubs. 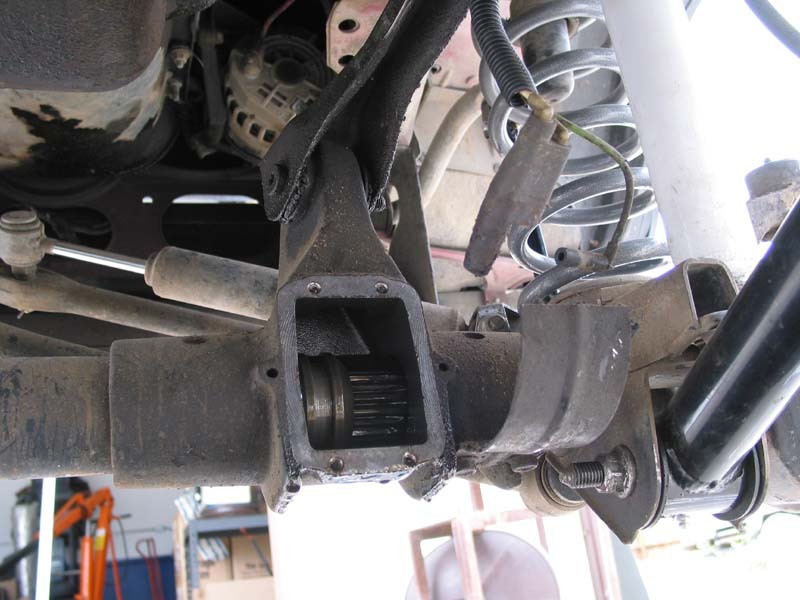 To keep the front axle assembly from spinning constantly, which results in decreased mileage and increased wear, a coupler was added to the long side front axle shaft. This coupler is controlled by a vacuum source and disconnects the two piece axle shaft when in two wheel drive. I am sure that this seemed like a perfectly reasonable idea to some lab coated engineer at Jeep back in the mid-eighties. Fast forward twenty years and I have a front axle that will only engage intermittently. The lift kit compounded this problem, as the brittle vacuum lines have been sitting in the same position for almost twenty years. They were not willing to stretch an extra three inches to accommodate the new lift kit. Fortunately, there is a solution. 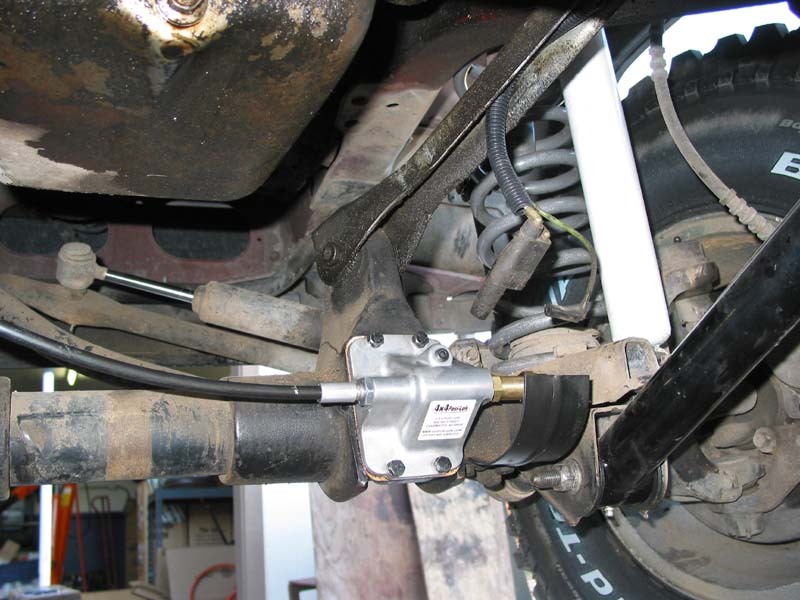 4x4 Posi-Lok manufacturers a cable kit that replaces the vacuum actuator and allows the driver control over locking the coupler on the front axle shaft. Here you can see the shift collar that connects the two splined halves of the axle shaft. Make sure that the hole you drill for the cable does not interfere with the gas pedal. To begin the installation, I lifted the front of the vehicle and put it on jackstands and removed the front wheels. This allowed for more working space and clearer pictures, but is not absolutely necessary for installation. 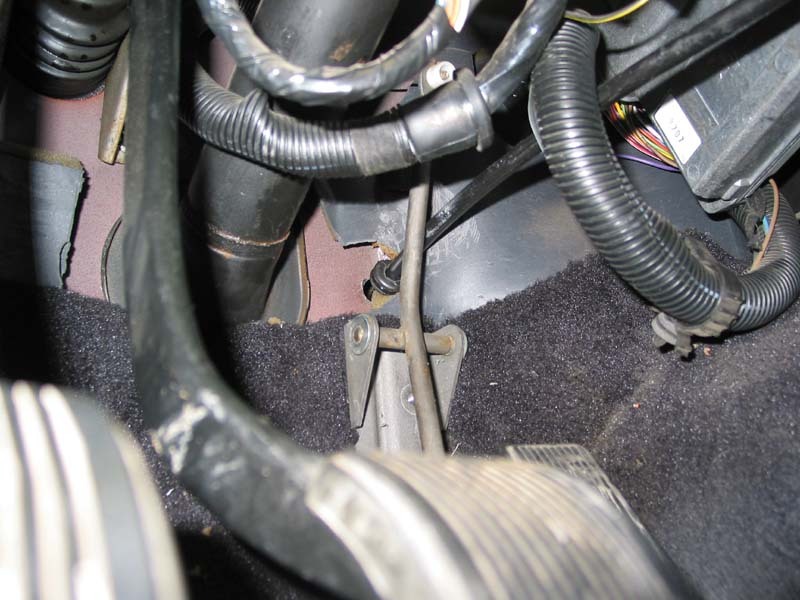 I removed the vacuum lines leading the stock disconnect and unbolted the cover, which is located directly below the upper control arm on the passenger side. 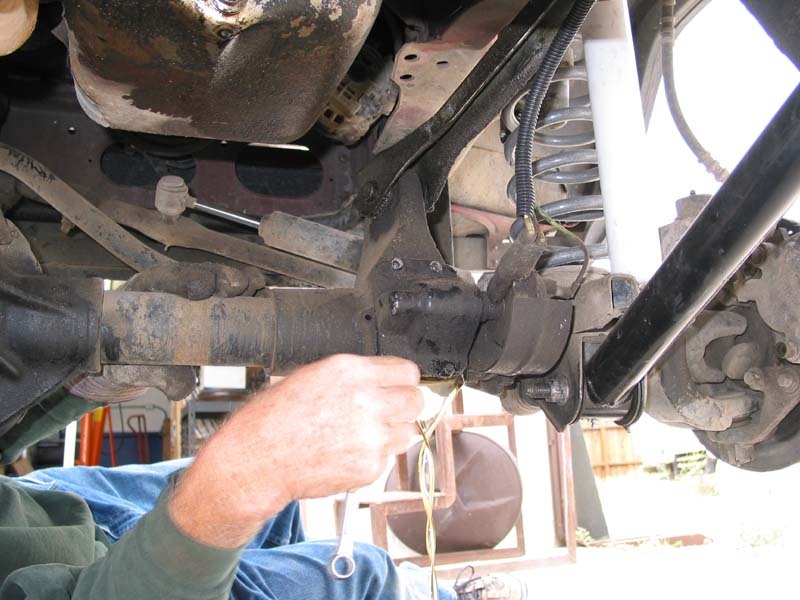 Some gear oil will run out of the axle tube, so make certain that you have a pan beneath the vehicle. The cover contains a fork that slides the coupler over the axle shaft. This part must be removed and installed in the new Posi-Lok cover. It is held in place with three small c-clips. With the stock parts removed, it is time to start installing the new components. I began by drilling a hole in the firewall for the cable to pass through, as indicated in the instructions. Next I routed the cable through the firewall using the supplied grommet and added the included bracket to the dash. This also required a small hole to be drilled. The bracket supplied with the Posi-Lok was powdercoated and a small amount of the paint needed to be filed off in order for the cable to properly fit in the bracket. This is a small price to pay for tight tolerances on parts. The is the complete installation from each end. With the cable installed in the cab, I began routing under the hood towards the axle. 4x4 Posi-Lok makes applications for Chevrolets as well as Jeeps, and I am inclined to believe that they use the same cable for all applications, as I had to do a lot of routing of the extremely long cable. I ended up going around the steering box and then under the upper control arm on the driver side before coming across the axle. At that point the cable was routed through the new cover and the shift fork was installed with new c-clips. The cable was then tightened and the cover was installed onto the axle housing. The final step was to wire into the vacuum switch to activate the 4WD indicator light on the dash. With the installation complete, I added more gear oil to the differential and bolted the tires back on. 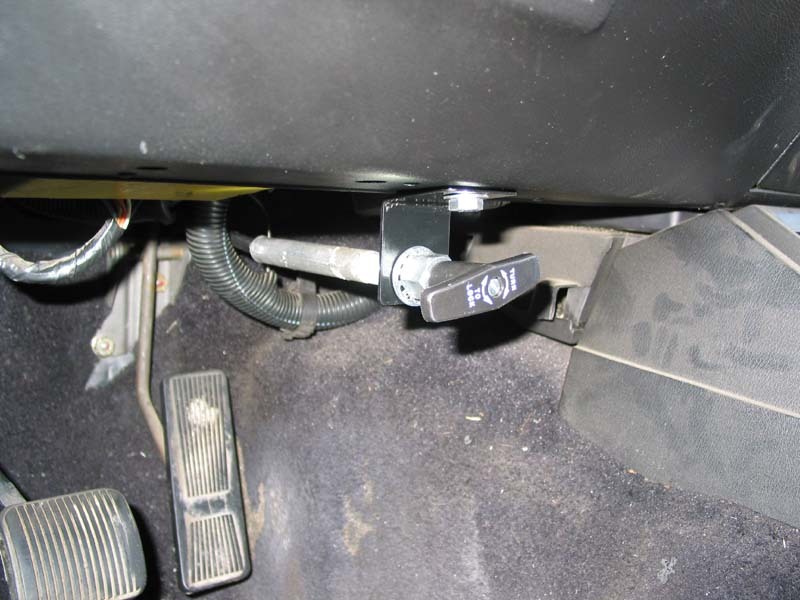 The Posi-Lok offered a positive engagement from the first turn of the handle, and as an added bonus I can leave the Posi-Lok unlocked and use the transfer case in 2WD low range. With a total installation time of under two hours, the Posi-Lok is one of those rare modifications that is easy to perform and offers improved reliability and trail prowess.